The UCE Deloitte Business Case Competition is a great way to hone your skills. It is one of the best ways to kick-start a career in consulting and professional services. 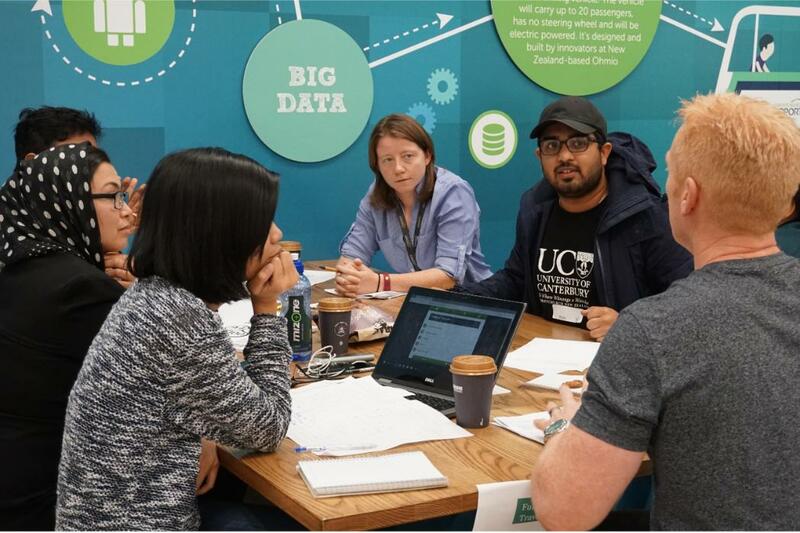 The 48-Hour Health Challenge is a perfect opportunity engage with some of the big problems facing the Health Sector in Canterbury and New Zealand. Kickstart your business or social enterprise with our incubator programme and learn by doing. Make a difference to the planet, meet new people, learn some cool stuff and have the opportunity to win cash in the process. Work in teams alongside experts, business mentors and the social enterprise community to come up with a solution that will impress our judges. Our programmes open eyes and minds to a world of new ideas and possibilities. Our student challenges foster teamwork, analytical thinking, leadership and presentation skills. We partner with a variety of corporate and social enterprises to foster innovation. Find out more. Keep up to date with the events, successes and initiatives of UCE. Contributors include both staff and students. UCE's aims, vision and ways to keep up to date with our programmes, events and successes. UCE's former students can be found in exciting and influential roles all over New Zealand and the world. We offer UC students the chance to gain real experience. We inspire students to pursue China-related opportunities. Sign up for our latest news, events and opportunities!